Sure, it sounds amazing. Stuttering introverts don’t just change into glib network anchors overnight…but their VOICES can! Okay, So How Much Am I Charging For A Tool That Can Turn A Podcasting Nerd Into A Podcasting & Broadcasting Pro? Well, first let’s look at what it would cost you to have your PodCasts and Vblogs edited by a sound engineer. Those guys get, like $50 an hour and up, with a minimum of $150. So you’re looking at $150 per PodCast. If you make 10 PodCasts, that’s $1,500. So even if I sold “PodCast Teleprompter” for $1,500, it would pay for itself after 5 PodCasts. For one thing, with my marketing background, I know that the best way to advertise is to create a buzz. If I sell a certain number of “PodCast Teleprompter” cheap, then people will talk. Here’s the thing, though: once the buzz hits, I’m going to raise the price to make some profit. 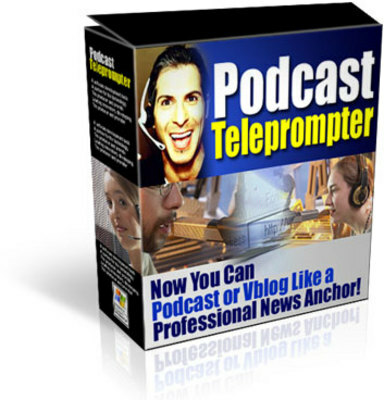 Bottom line: if you want “PodCast Teleprompter” at the low price of $97.00, you’d better ACT NOW! Podcasting For Customers - With Mrr + 2 Mystery Bonuses!